Long before double rainbows were a thing, double dragons were an even bigger thing. 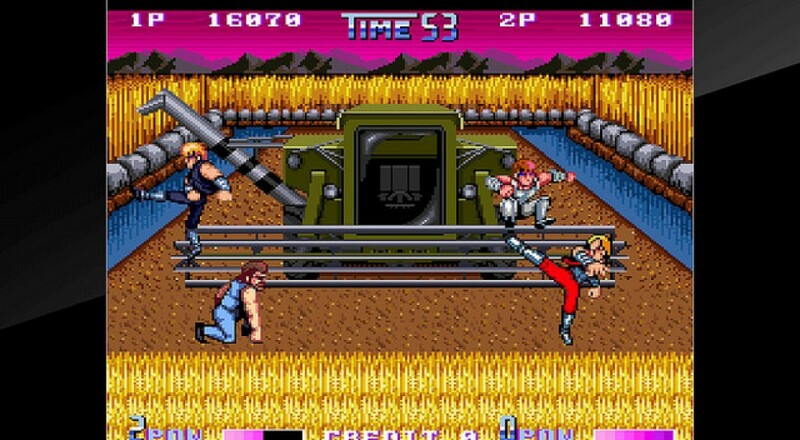 The Double Dragon series of sidescrolling arcade beat-em-ups helped popularize the genre with solid co-op kicking and punching action. The effect was even greater when the games made it to consoles. Now, that shift to home systems is repeated some 24 years later with the release of Double Dragon II: The Revenge on PS4. Double Dragon II is seeing a re-release thanks to the Arcade Archives initiative, bringing classic games to modern systems because we're suckers for nostalgia. Two player local co-op is supported, just like in the olden days, allowing you and a friend to jump in and fire off a few sosetsukens to clear the streets of baddies. Double Dragon II is a classic co-op experience that manages to hold up surprisingly well today. The new release looks to bring that experience to our TVs as faithfully as possible, adding a few extras like screenshot sharing and online leaderboards thanks to the PlayStation 4's non-old-school specs. PlayStation.Blog spoke with the game's original director Yoshihisa Kishimoto about the release, the inspiration for the series, and a teaser about the future of the franchise. Double Dragon II: The Revenge is currently available on PS4 in Europe. A North American release is expected soon. Page created in 0.5981 seconds.